Grace Lafferty only feels alive when she's dangling 500 feet above ground. 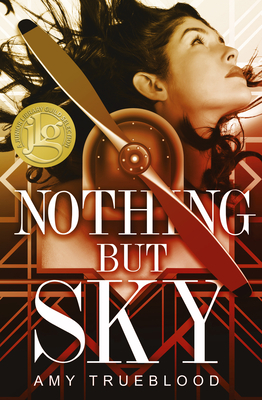 As a post-World War I wing walker, Grace is determined to get to the World Aviation Expo, proving her team's worth against flashier competitors and earning a coveted Hollywood contract. No one's ever questioned Grace's ambition until Henry Patton, a mechanic with plenty of scars from the battlefield, joins her barnstorming team. With each new death-defying trick, Henry pushes Grace to consider her reasons for being a daredevil. Annoyed with Henry's constant interference, and her growing attraction to him, Grace continues to test the powers of the sky. After one of her risky maneuvers saves a pilot's life, a Hollywood studio offers Grace a chance to perform at the Expo. She jumps at the opportunity to secure her future. But when a stunt goes wrong, Grace must decide whether Henry, and her life, are worth risking for one final trick.